Jackson’s career total of 563 homers was the sixth highest in baseball history when he retired. His slugging percentage of .490 and his 2597 strikeouts consolidate his place in a league of its own. Jackson remains the only baseball player who scored 100 homers for three different teams, hitting centuries of knocks for the Angels, Yankees and Athletics. With magnificent athletic ability, Reggie was tipped to make it among the big timers by the time he was just thirteen years old. As the only African American player for his youth team, he experienced racial discrimination for the very first time as his coach refused to allow him to enter the field of play. Jackson was stunned, and as he recalled years later, it was the first time he had ever faced something like that, making him realize that the color of his skin could be an issue. When his coach finally decided it was time to put him on the field, Reggie’s wanted to prove his worth by pinch hitting a homer during the final game of that particular series. However, his short-lived dream did not materialize and instead, he struck out. His dad was attending the game, so Reggie felt worse about his failure and believed that he had let everyone down, including his father. After the game, his dad offered him a ride home, but young Reggie chose to walk instead, crying along the way. But the story of a true legend was just in the making as with every step he took, he repeatedly mumbled that he would become a major leaguer, and boy did he make it in the big frame! In his 21 years as a ballplayer, Jackson represented the All Start Team fourteen times – 1969, 1971 to 1975 and 1977 to 1984. He won five successive divisional pennants in the West League of American baseball. In addition, he also bagged three consecutive pennants winning the American League. He collected four divisional pennants when playing in the East League of American baseball, and three pennants for winning the American League. He also won two divisional pennants in the West League when playing for California Angels. Jackson is a five-time World Series winner (1972 to 1974, 1977, and 1978). 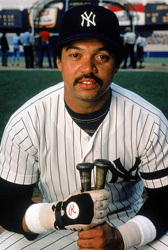 He also bagged the Silver Slugger prize on two occasions – 1980 and 1982. 1973 and 1977 will be two of his finest years in the sport as he won the American League MVP as well as the World Series MVP in 73, and claimed the latter award for a second time in 1977 in addition to bagging the Babe Ruth Award during the same year.